The other day I found myself just sitting at my computer, dreaming of Spring. I am over winter. I hate to be negative, but the truth is the truth. The cold. The dryness of my skin. The layering of clothing. Did I mention the cold? Literally. OVER IT. So, as I was dreaming, I did what all normal people would do- I hopped on Pinterest! 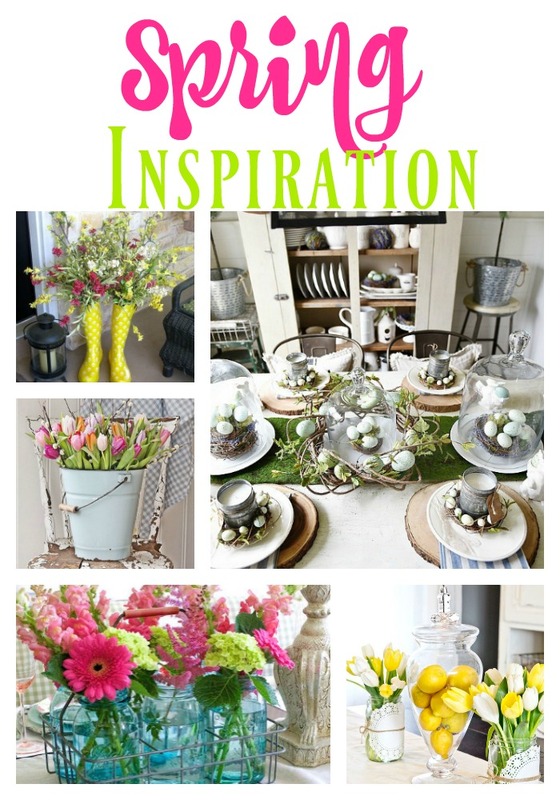 I looked and scrolled and just typed in “Spring Inspiration”! I just wanted my creative juices flowing for the warmer days ahead, and my blog has been silent for way too long! It is time to get hoppin’ again, and I needed some fresh motivation! BOY, did I find it! I think I have a thing with lemons this year. I just LOVE the pop of yellow they give and the aroma they emit. They make for some gorgeous and cheap spring inspiration! 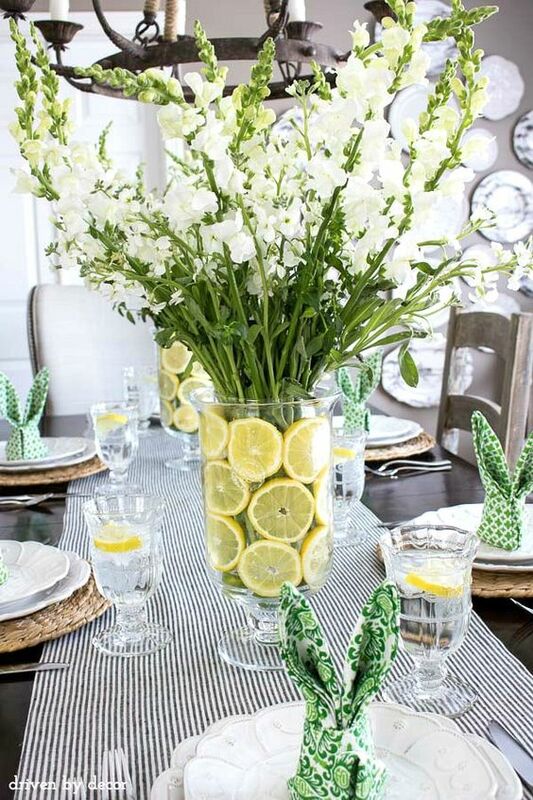 I love how she used these sliced lemons along with inside of this vase. And these FLOWERS….ahhhhh…. Simple as sweet! 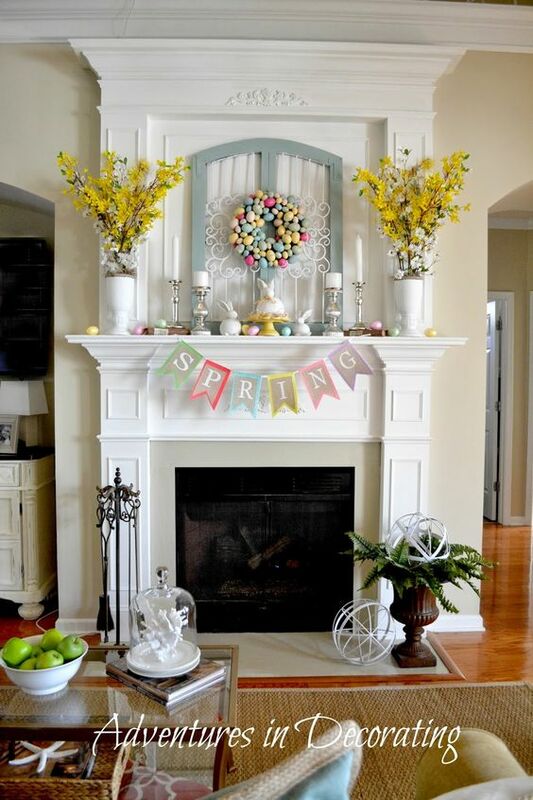 The cute little banner, the symmetry of the flowers and the little egg wreath. 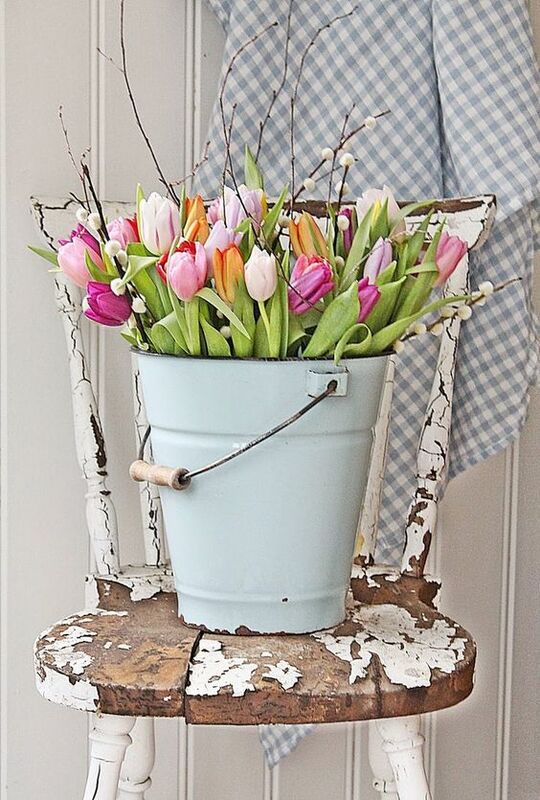 I just think it is the perfect amount of spring time goodness! If you follow my Facebook page, you have seen this picture! I shared it the other day, because I am IN LOVE with it. Everything about this picture inspires me. Her whole tablescape is STUNNING. 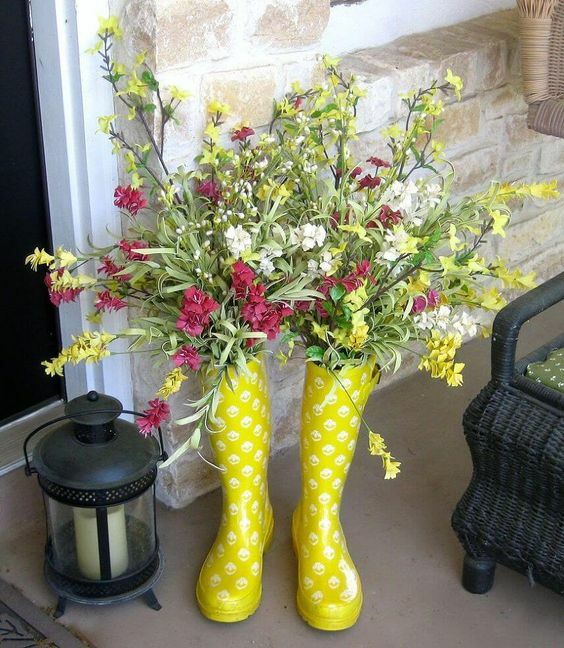 I could not find who to give credit to for this adorable idea/picture- but how stinkin’ CUTE are these bright yellow rainboots with these faux flowers?? When we build our home and I finally have a porch, I am totally doing this! 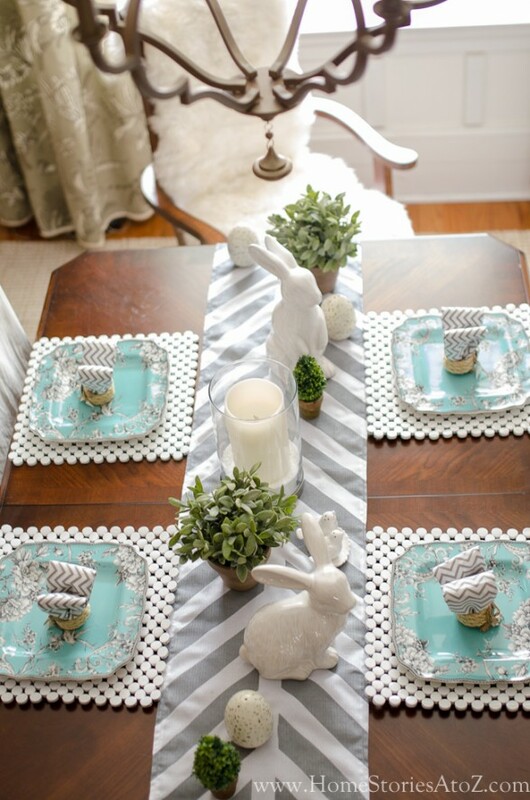 The Happy Housie always has the most adorable decorating ideas! 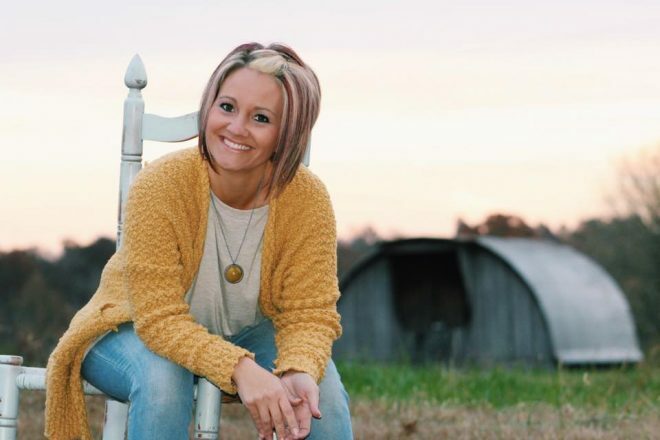 Her Spring home tour was simple, yet so perfect. This picture inspired me with the simplicity of the flowers and the bits of greenery. The green and blue color hues also just bring me to a springy state of mind! Sometimes, although I am in the decorating industry, I feel as though I am living under a rock. Why have I never thought to decorate with jelly beans like this?? How perfect is this! (and CHEAP!) This clear vase with flowers and jelly beans is a show stopper! I told you I had an obsession with lemons this year! But seriously. 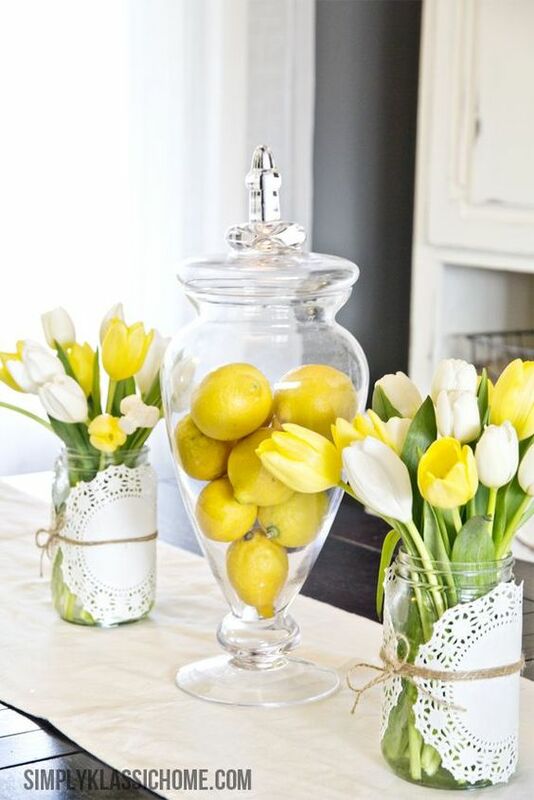 How pretty is this apothecary jar full of lemons??? And the yellow and white tulips? And the doilies tied around the mason jars?? ALL of this is pure perfection! 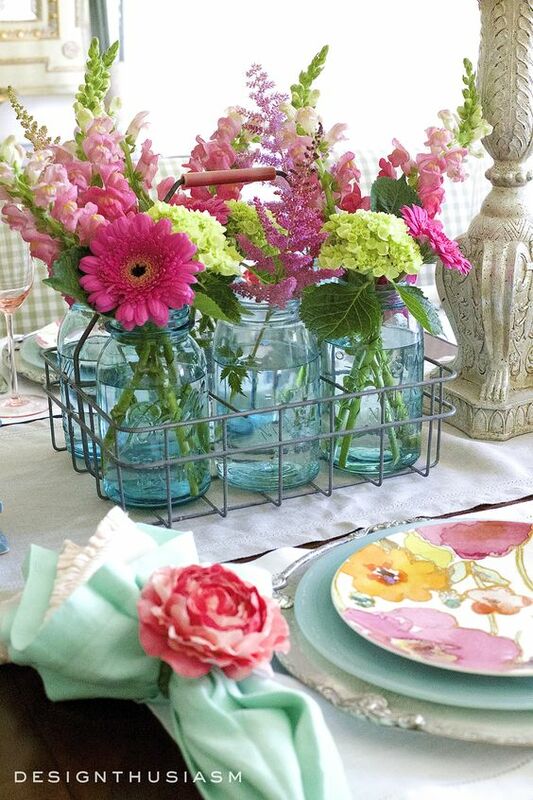 Just a simple, pretty, Spring tablescape! It is nothing over the top, yet it does the trick perfectly. 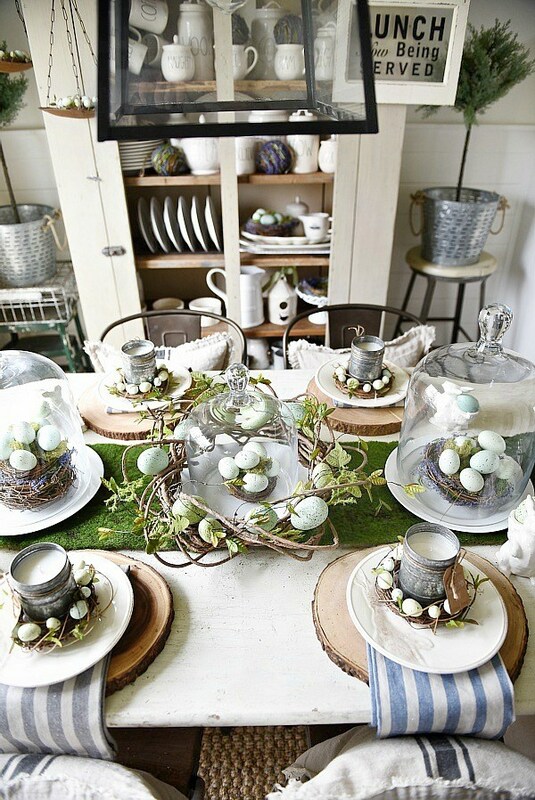 The perfect amount of bunnies, eggs and greenery to bring my mind to warmer days ahead. This is another picture that I could not find the link to. I hate to not give credit where it is due, so if you know whose it is, please let me know! I think this goes without saying, but I could go on forever. There are millions of pictures out there to inspire, but I just picked a few of my faves that I have found recently that I wanted to share with my peeps! Hope y’all enjoyed! Spring is officially RIGHT AROUND THE CORNER! I can not believe that two days ago it was 60 out and last night it snowed and we are to expect up to 5 more inches. Those pretty pictures were just what I needed. I love your blogs and look forwards to checking in and seeing all the things you do . Love them all ! Your the BEST!